Aging is a natural and ongoing process that we all experience and go through. For thousands of years, the Chinese have known that internal nourishment and the smooth flow of blood and energy within the body reveal themselves through a healthy external radiance. The practice of acupuncture to enhance beauty dates back to China’s Song Dynasty (960-1279) when it was used by the Empress and the Emperor’s concubines. 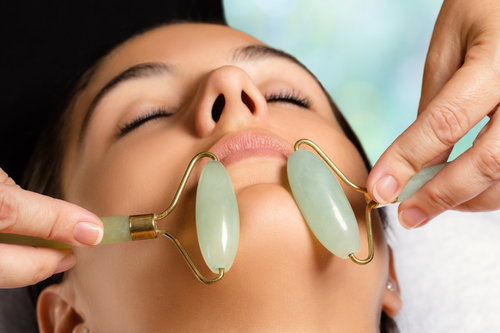 Facial Rejuvenation Cosmetic Acupuncture is an amazing regenerating system to re sculpt the face, neck and jaw areas to decrease wrinkles and promote a glowing complexion while supporting your overall health. Facial Rejuvenation Cosmetic Acupuncture is a natural alternative to cosmetic surgery without being risky and as expensive as Botox®, Restylane®,Chemical Peels or Resurfacing. Fortunately, our specialized and ‘one of a kind’ Facial Rejuvenation Acupuncture treatments can help slow down your skin’s aging process without causing harm to your skin and body. What can Facial Rejuvenation Cosmetic Acupuncture help with? Increased blood circulation to the skin stimulates Collagen and Elastin production. This leads to plump skin. As an extra bonus your overall health and well being is simultaneously affected. Energy levels increase, stress levels decrease and all over well being is enhanced. Can knock up to 10 years from your face! 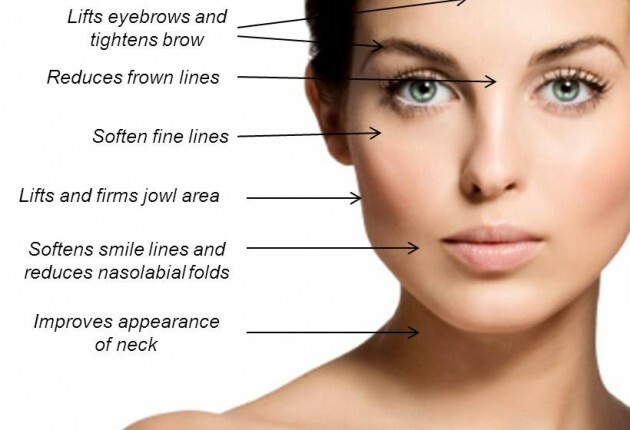 Facial Rejuvenation Cosmetic Acupuncture is advised for all women and men. Facial Rejuvenation Acupuncture is also known as a preventative anti-ageing facial which is advised for younger women whom are health and beauty conscious. Facial Rejuvenation Acupuncture reinvigorates your natural inner beauty and makes you feel and look younger both on the inside and on the outside! 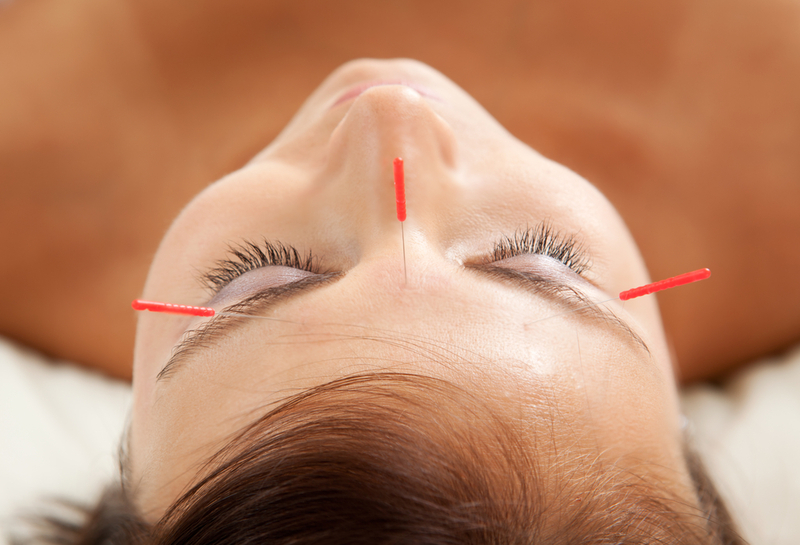 The highest quality, pre-sterilized, disposable Acupuncture needles are inserted gently around the face, neck and scalp. Body points are also used to address underlying causes contributing to the aging process. While your skin is reacting to the subtle stimulation, the treatment is also adjusting the energy throughout your entire body. 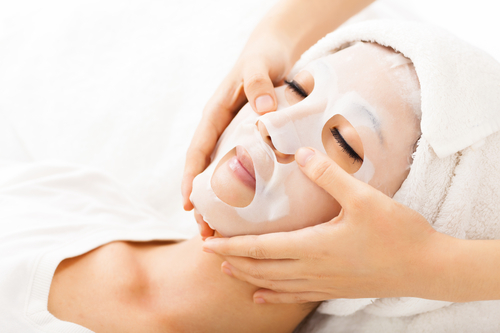 The treatment finishes with a gentle massage of the face. Results are cumulative. Each person responds differently, depending on his or her condition and lifestyle prior to treatment. Following the initial course of treatment, diet and lifestyle modifications together with maintenance sessions can prolong the results for five to ten years. Maintenance sessions are scheduled according to the individual’s needs after the initial series. You may see changes as soon as the first treatment is completed! A 1996 report in the International Journal of Clinical Acupuncture stated that, with one course of treatments, 90% of the 300 individuals in the trial had a noticeable effect, including leveling of wrinkles, elasticity of facial muscles, a more delicate skin and a healthy, glowing complexion. An overall rejuvenation and sense of well-being was also reported. Who Administers Facial Rejuvenation Cosmetic Acupuncture? Dr. Dawn R. Gifford, DOM, LAc. is one of a select group of acupuncturists who performs this ancient art. This highly sough after treatment should be performed by a licensed acupuncturist with training in the specialization of Facial Rejuvenation Cosmetic Acupuncture. Facial Rejuvenation Cosmetic acupuncture is a non-invasive technique that uses pre-packaged disposable sterilized needles. It is a modality that has a high benefit to risk ratio relative to high risk invasive therapies utilized today to enhance appearance. 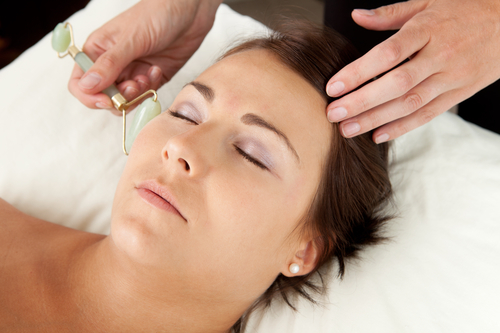 For the vast majority of prospective clients, it is a safe and beneficial treatment. However, there are specific conditions that are contraindicated for this treatment. They are listed below. Caution taken with use of blood-thinning medications or supplements, as they will cause increased bruising. *Note — Smokers are not excluded from facial acupuncture. However, it is not highly recommended, due to the effects smoking has on the skin. Three phase anti-aging herbal treatment that will exfoliate, intensely hydrate, restore, lift and firm the skin. An immediate non-surgical lift that is the perfect pick-me-up! Results are cumulative. Each person responds differently, depending on his or her condition and lifestyle prior to treatment. Following the initial course of treatment, diet and lifestyle modifications together with maintenance sessions can prolong the results. For the vast majority of prospective clients, it is a safe and beneficial treatment. However, there are specific conditions that are contraindicated for this treatment. They are listed below. Not appropriate : If you are pregnant, have a circulation disorder, hemophilia, lupus, or diabetes.